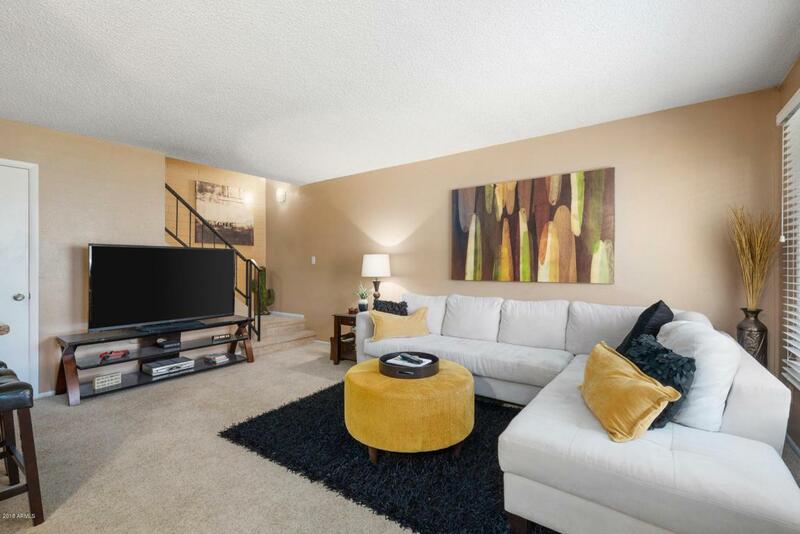 This charming two bedroom townhouse in the heart of Scottsdale is the one you've been looking for! 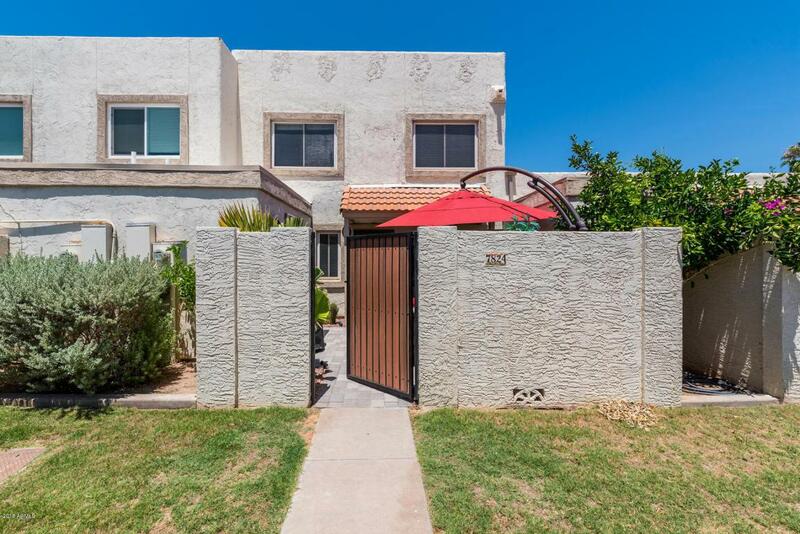 The recently updated front patio is perfect for outdoor enjoyment while the interior boasts an open floor plan with a kitchen that features maple cabinets, S/S appliances and a walk-in pantry. 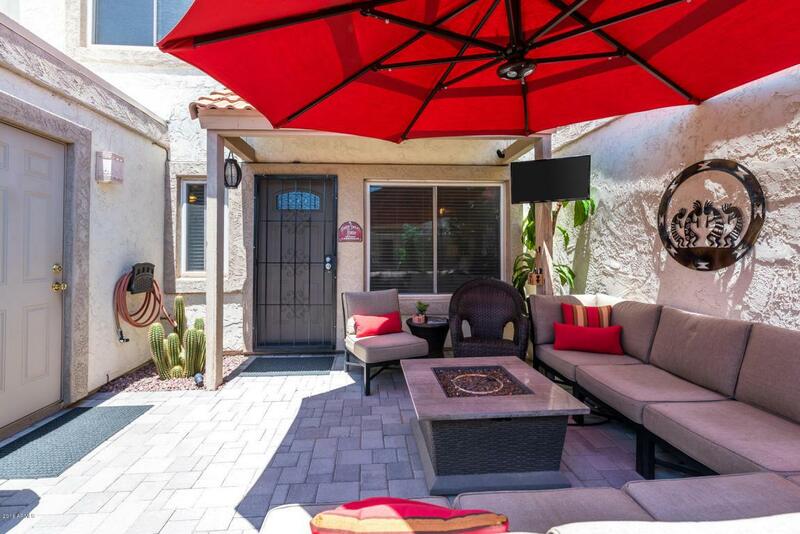 The utility room off of the front patio has both your washer/dryer and additional storage. This resort-style community features two recently updated swimming pools, a spa, well-maintained grounds and walking paths for the active. 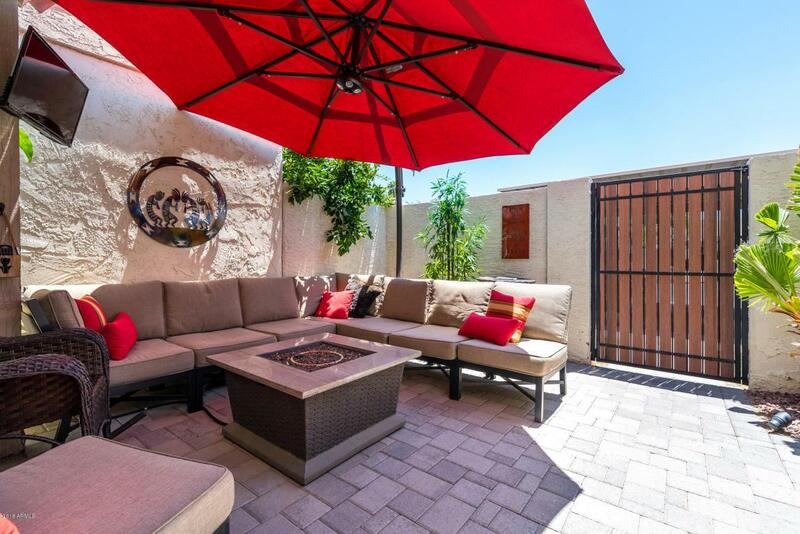 It's close proximity to the greenbelt, local parks, Silverado golf course, Salt River Fields and all of the wonderful dining, shopping and entertainment options of Old Town Scottsdale makes this an excellent lock & leave property or great for year-round enjoyment.